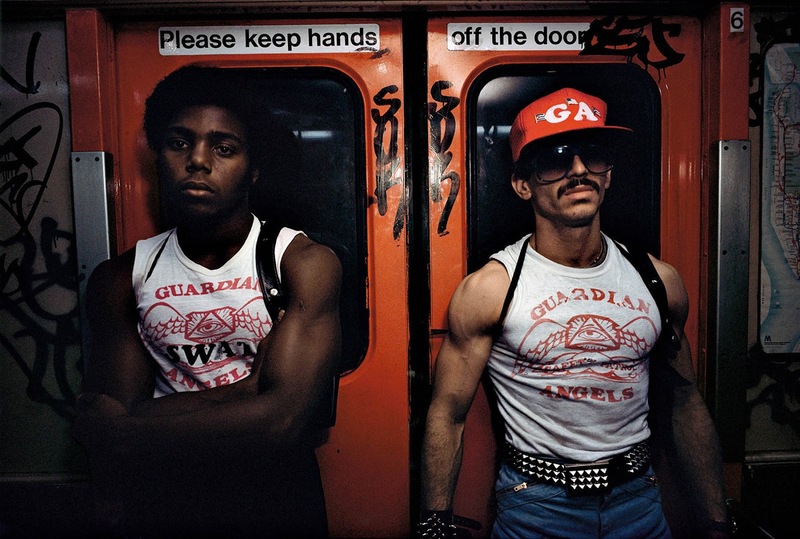 Guardian Angels first made an appearance on the New York subway in 1979 in an attempt to quell rising levels of violence. As in all of New York, crime was rampant in the subway in the 1970s. Thefts, robberies, shootings and killings became more frequent. The subway cars were very often graffiti-painted or vandalism-damaged both inside and outside. As the New York City Police Department was completely overwhelmed, the public reacted with unease, and the subway was deliberately avoided. Around 1980, the reliability of the vehicles was a tenth of their reliability in the 1960s, and 40 percent of the network required speed restrictions. The subway system became New York’s most ravaged symbol of urban decay, deemed un-patrollable and unsafe even for the most street savvy commuter. In 1979, a group of angered residents led by Curtis Sliwa began taking crime prevention into their own hands, donning red berets – looking very much like a gang and calling themselves the Guardian Angels. Their membership was mostly young men, black and Latino, who had eschewed gang life in their own neighborhoods to better their city. They were identified by their red berets and red jackets or white T-shirts with the red Guardian Angels logo of an eye inside a pyramid on a winged shield. While their presence was oftentimes flamboyant, many New Yorkers grew to feel relieved to see the muscle-y red-beret-wearing youths when boarding the train at night. Soon the Angels, over 500 in total, were out patrolling the city streets, their training and audacity standing in for actual civic authority. Guardian Angles had a really interesting system of checking to see whether there was a problem in a particular train car. When the train would stop at a station, each member would pop their heads out of the open subway door and if they noticed that one of the doors was unattended, it meant someone needed backup. It was not until the 1990s that the crime in the city and its subway declined significantly and the Guardians Angels became no longer necessary.